Junk Removal Annandale Franconia Springfield Groveton Burke VA | Mack Hauling Hot Tub Construction debris clean out. Junk Free, Stress Free, Just One Click Away! 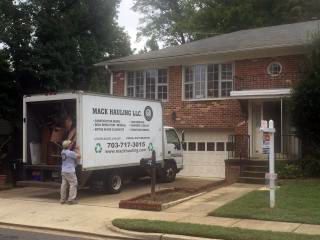 When it comes to junk removal in Annandale VA, Mack Hauling is the area’s winning team. We are proud to call ourselves the junk removal masters of Virginia serving the Annandale VA area. Schedule your pick up to get rid of your junk by calling us or complete our FREE ESTIMATE request form. Mack Hauling is a licensed and insured professional junk removal company. We remove any and everything, from household clutter and yard debris to commercial junk and construction debris. You tell us you don’t want it anymore, and we get rid of it for you — it’s as simple as that! And in addition to our junk removal expertise, we take great pride in offering the industry’s best customer service. With Mack Hauling, you get top-notch service, as well as respectable, clean-cut and on-time professionals to do the job the right way. We specialize in junk removal of all types including hoarder clean outs and light demolition. We have many satisfied and recurring customers all around the Northern Virginia, Southern Maryland, and the Washington DC area. We service the Annandale area including Springfield, North Springfield, Lincolnia, Ravensworth, Wakefield, Mantua, Kings Park, Pinecrest, Lake Barcroft. Baileys Crossroads and all surrounding areas. Our large fleet of junk removal trucks and equipment travel regularly around the Capital Beltway Route 495 and down roads including W. Braddock Rd, Little River Turnpike, Edsel Road, Hillbrook, Leewood, Holmes Run Heights, Accotink Heights, Cedar Crest, Columbia Pike, Annandale Road, Backlick Road, Ravensworth Road, Braddock Road, Gallows Road, Duke Street, Route 395, Route 1 Jefferson Davis Hwy., and more. 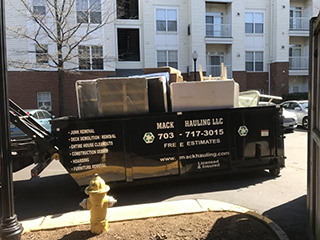 Mack Hauling is a junk removal, light demolition, and hoarder cleanout company operating in Annandale Virginia. 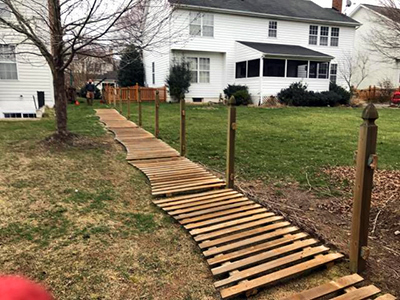 Call for our professional service with experienced crew and large trucks that can handle anything you need including fence removal, hot tub removal construction debris, and any type of junk hauling. Mack Hauling specializes in junk removal of all types including hoarder clean outs and light demolition. Our fleet of junk removal trucks and dumpsters can address any job, small or large. We have many satisfied and recurring customers all around NOVA, Southern Maryland, and the Washington DC area. We service the Annandale area including Springfield, North Springfield, Lincolnia, Ravensworth, Wakefield, Mantua, Kings Park, Pinecrest, Lake Barcroft. Baileys Crossroads and all surrounding areas. We will provide tenant cleanout services to apartment complexes in or near the Annandale VA area including apartment complexes such as The Maxswell Apartments, Annandale Apartments, The Avant, Ravensworth Towers, The Parliaments, Spotlight Apartments, Bridgeyard Apartments, Wedgewood, The Amberleigh Monticello Falls Church, and many others.